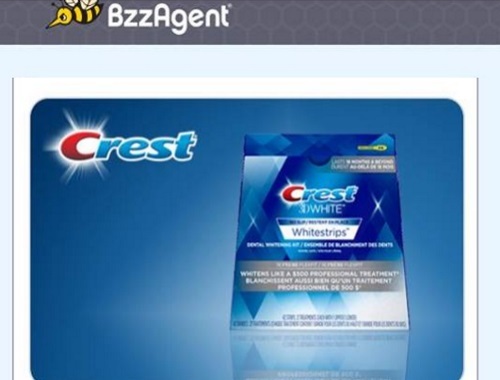 Bzzagent has a new campaign for Crest Whitestrips! This product whitens teeth as well as $500 professional treatment. This campaign includes a box of Crest 3D White Luxe Supreme FlexFit Whitestrips 21ct. Check your emails and log into your Bzzagent account to see if you got this campaign. Spots are limited.